How do I refer someone to Artwork Archive? Share Artwork Archive with your friends and earn credits. 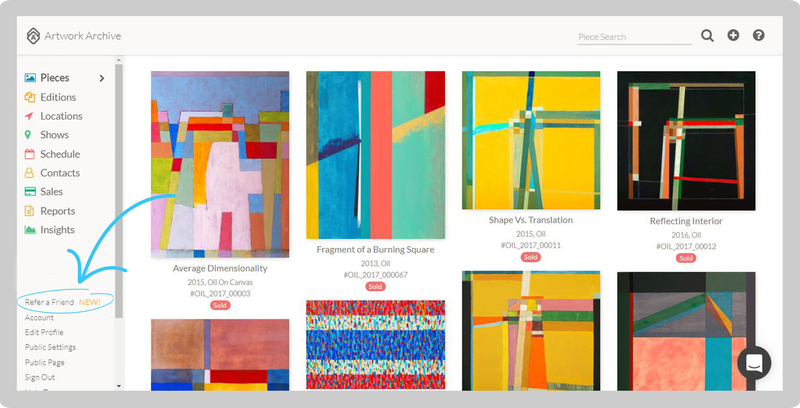 Share Artwork Archive, and you and your friends will both get a $10 Artwork Archive credit when they subscribe to a paid plan. Click "Refer a Friend" in your account menu on the left-hand side. Invite by email – enter your friends’ emails and we’ll send them an invitation. 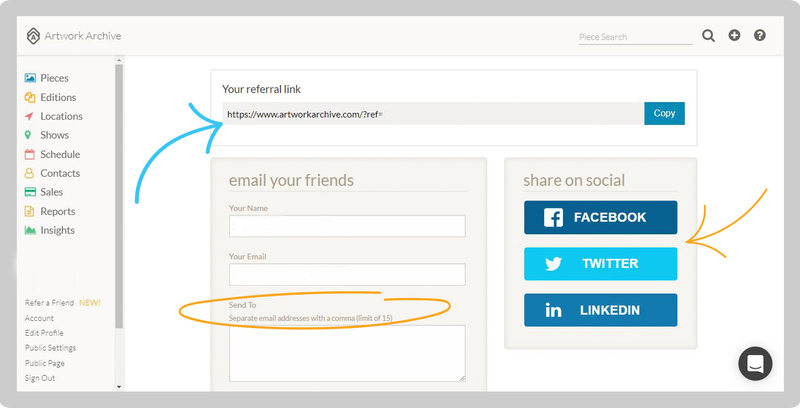 Share your link – you get a unique link that you can give your friends, put on your website or post on social media. Share directly to social media – just click the Facebook, Twitter, and LinkedIn buttons on the right! Then, when each friend subscribes with your link, a $10 credit will be applied to your account! And, you’ll be able to track all of your referrals in your Account settings. Share as much as you want to earn $10 over and over! You can return to your Refer a Friend page at any time.